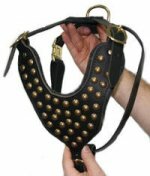 Hand made in America of harness leather, this Leather Dog harness is great for Schutzhund / Police K9 protection Work and can be used for a tracking dog Harness. 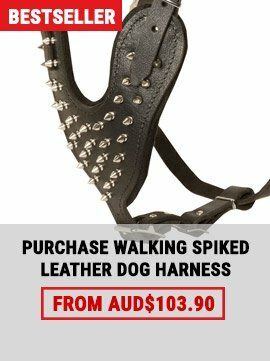 Designed with quality and comfort in mind for dog and owner. 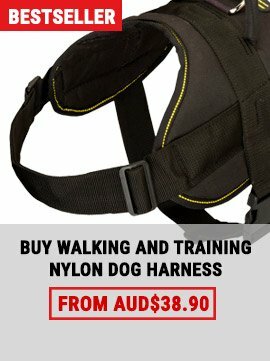 The benefit of a properly used harness is that it gives total control over the dog's shoulders and thus sets the direction in which he can move. 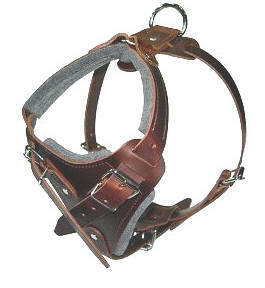 The Protection and Tracking Dog Harness is a favorite with police K9, SAR, and the military, but it is also an excellent harness for schutzhund agitation and/or tracking. 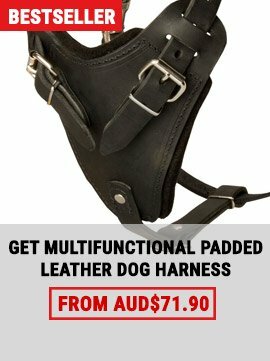 The side adjustments are made with heavy Velcro for a perfect fit.